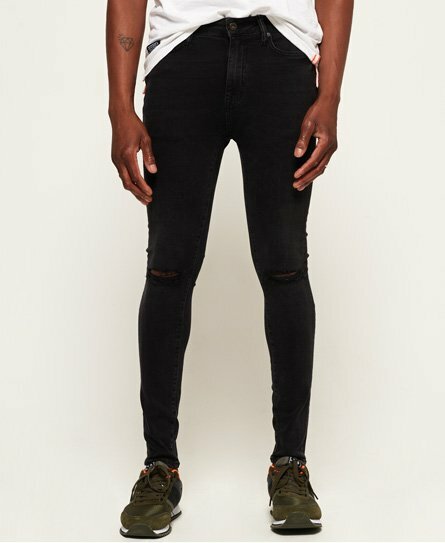 Superdry men’s Jared super skinny jeans. Offering the tightest fit in our denim range, the Jared jeans feature the classic five pocket design, button and zip fly fastening and belt loops. With a mid-rise fit and made from a high stretch fabric, these jeans are trimmed with a waistband patch, embroidered logo on the coin pocket and logo patch on the back pocket. For a twist on the classic look, these jeans are finished with a distressed look on the legs.